Elizabeth B. Dater/Angelo, Gordon & Co.
Elizabeth “Beth” Dater is a Managing Director of Angelo, Gordon & Co., a firm specializing in debt, real estate, private equity, and multi-strategy absolute return strategies. 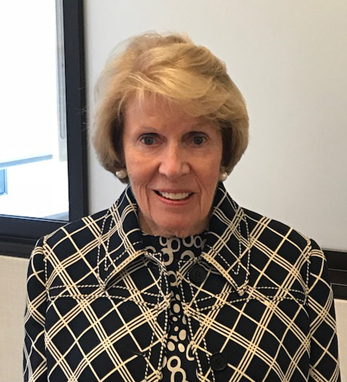 Beth’s career in investment management spans nearly 40 years and began at the Fiduciary Trust Company of New York in 1970. In 1978 she joined EM Warburg Pincus and Co. as a portfolio manager and research analyst. She became a managing director at Warburg Pincus Asset Management (WPAM) in 1981 and was named director of research in 1987. By 1999 WPAM was the leader in the business with over $8 billion in AUM. As a member of the WPAM Operating Committee, Beth was active through the firm’s sale and merger into Credit Suisse Asset Management. She was appointed to CSAM’s Americas Management Committee in 1999, where she served until 2003. She joined ForstmannLeff which was subsequently acquired and reorganized as AG Asset Management, along with several members of her Small Cap Growth team in 2004. At AG Asset Management, a subsidiary of Angelo, Gordon & Co., Beth served as Chief Investment Officer. Beth is a graduate of Boston University and serves as chairman of the Irish Georgian Society’s American chapter, and is a board member of its Irish headquarters. Beth attributes much of her success to her Irish American heritage, including determination, management skills, and, importantly, her sense of humor.